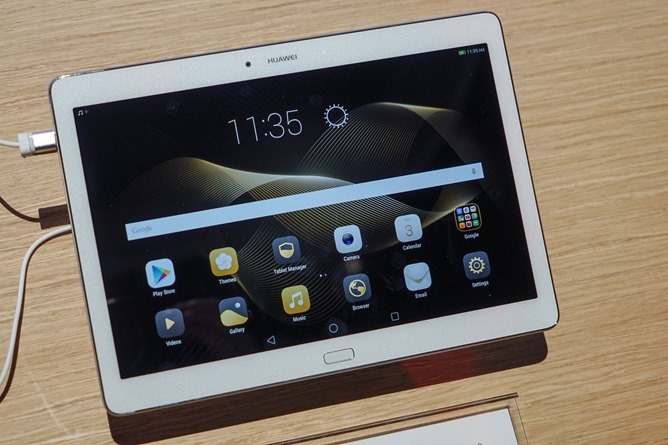 We had a few minutes with the new Huawei MediaPad M2 10.0 after Huawei's CES press conference this morning, and here's the rundown on the upcoming slate. This isn't Huawei's first tablet, but it may well be their first particularly respectable one. 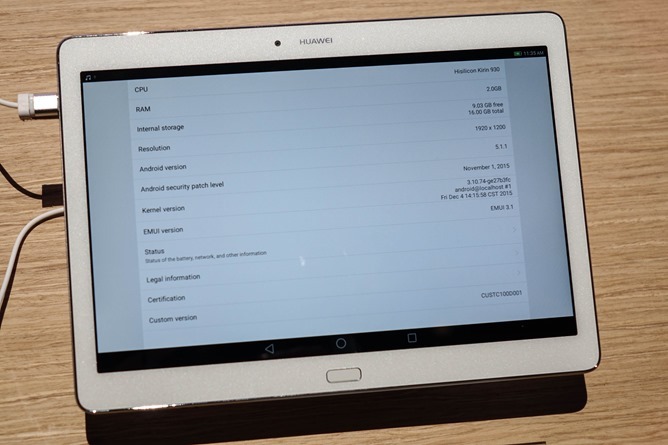 While it does appear it will ship with Android 5.1.1 - everyone sigh collectively - the tablet itself feels like a reasonably nice piece of hardware. In its most basic form, the M2 comes with a modest 16GB of storage and 2GB of RAM, which is what we played with today. 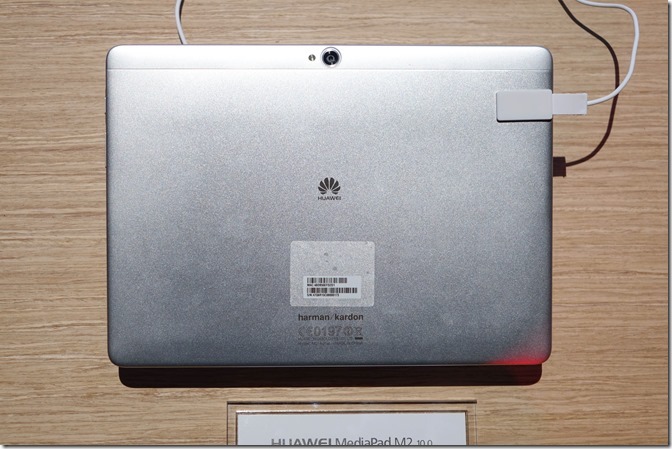 But 3GB/64GB models will also be sold, plus LTE variants, and ones with Huawei's Surface-esque stylus accessory, the M-Pen. Pricing is $349 for the basic 16GB/2GB Wi-Fi unit we used, $399 for the LTE vairant of the same, $419 for the 64GB/3GB with M-Pen (Wi-Fi), and $469 for the 64GB/3GB with M-Pen and LTE. 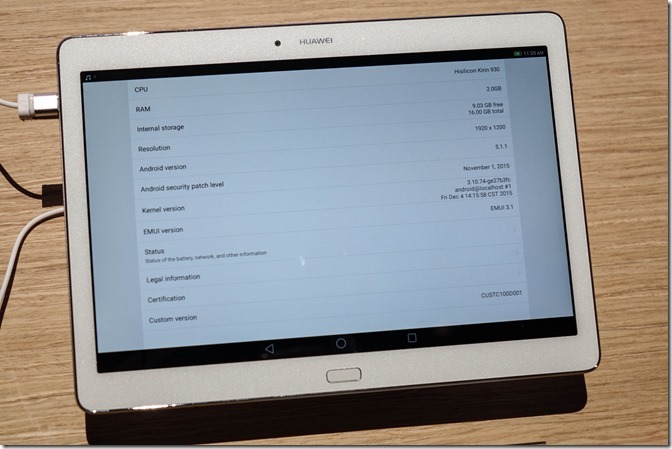 There is no 16GB version with the stylus, and it's not clear if the cheaper version of the tablet is compatible with it. We didn't actually have a chance to try out the pen, unfortunately. All versions of the M2 come with quad speakers, which weren't exactly testable in the loud demo area we were crowded into. Performance comes via an octacore Kirin 930 chipset, and the M2's 1920x1200 resolution proves easy for that chip to push. Performance seemed quite quick and snappy, though it was clear from a few glitches that these are still early days on the device's firmware. 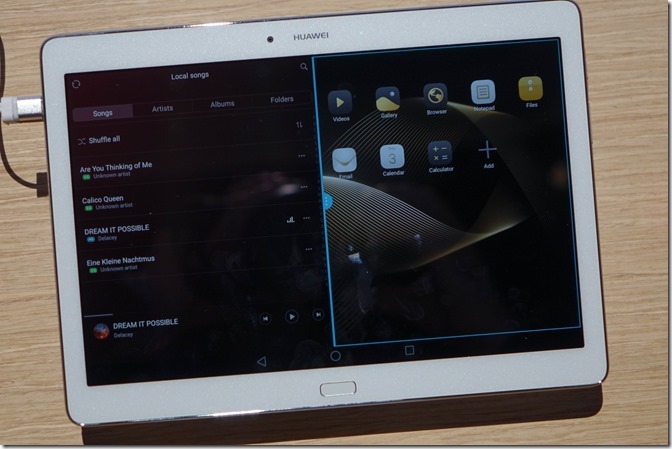 The M2 has a multi-window application mode, and I found it fiarly similar to existing implementations from the likes of Samsung and LG. It works, but very few applications appear to be supported, and you can watch the video for details on the particulars of that feature. 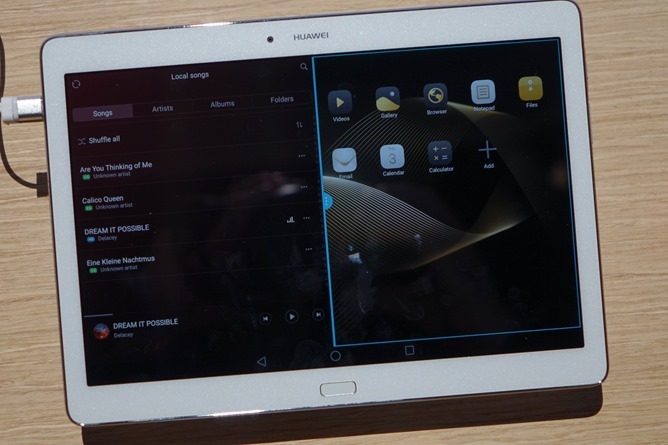 Other interesting software tweaks include a "reading mode" that likely red-shifts the display to be easier on your eyes in the evening, as well as the ability to place the navigation buttons to the far right or left of the navigation bar - definitely handy on a landscape tablet. The MediaPad M2 will go on sale in the US and a number of other launch markets some time in the first quarter of this year.